Do I really need a mentor? I think I am doing alright so why would I want a mentor? All a mentor will do for me is help me with my career development plans. I am not sure that I know what my plans are or if I could achieve them if I had a plan? When I ask myself about moving forward my inner voice keeps telling me that I will fail. My work place is riddled with negativity and I can’t seem to shake that. I think that it is affecting me and I am becoming just like them. I work in an organization where management takes pride in catching employees doing things incorrectly and then they discipline us. I am afraid some days to even go to work. Harassment runs rapid through the organization but no one will do anything for fear of reprisal. I feel sick when I come to work knowing that something bad is going to happen to me. Have you heard these same cries for help? Perhaps your inner voice cried out and you choose to not listen. Perhaps you heard these same cries for help from your co-workers, friends or even family members? Just maybe you heard something else – something that I have not listed here as the list could have gone on endlessly. Now, stand in front of a mirror and ask yourself – do I need a mentor? Maybe you are not sure of what a mentor does or how they can support you. I think it is time that you searched out that answer. In each and every situation that I sketched out an effective mentor can be a part of your journey through life. They won’t tell you what to do but they will guide you on a path that will ultimately help you in critically thinking your way through some of the challenges that we listed above. The “Gift of Mentoring” is a powerful tool. I recall working with a person who had little self-esteem and self-confidence and was working in a toxic work place. We did a makeover and helped that person become more positive and with that more confident. We took on negativity and toxicity head on and cast it aside. We became the advocate for positivity in the work place. We acquired a new position in a different organization where their efforts were rewarded with full time employment. The “Gift of Mentoring” is a powerful tool that helped an entrepreneur believe in who they are and the gift that they have in being of service to others. It is with this new found sense or source of who we actually are that will be marketable to others and help us be successful as we respond to our calling to be of service to others. It is the “Gift of Mentoring” that helped an employee believe in who they are and how to share their wisdom and knowledge in a more positive way through effective communication techniques. These techniques were transferable and played a huge role in their personal and professional transformation. 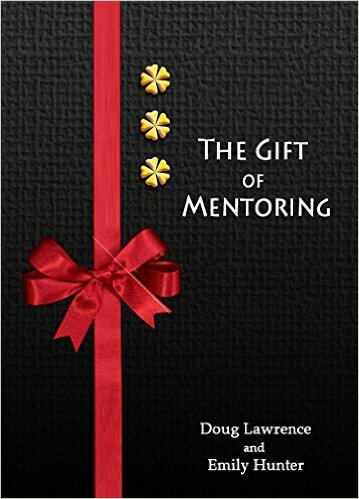 I could go on for quite a while outlining different situations where the “Gift of Mentoring” has played a huge role in the transformation of a person personally and professionally. I think you get the picture. So when you ask yourself do I need a mentor I think the answer is obvious. I have a number of mentors in my life today. Each one brings value to my life and helps me with my growth on a personal and professional basis. Each one challenges me to be the best that I can be. Each one stands beside me to show me the path that I can follow. Each one holds me accountable for the journey that lies ahead. If you are still not convinced that you need a mentor ask those around you if they have a mentor. If after all this, you are still uncertain then reach out to me and we can delve into this a bit deeper. After all, “can you afford not to?” For those of you who have a mentor or mentors – congratulations for taking the first step to begin your continuous learning journey where you will see growth on a personal and professional basis. 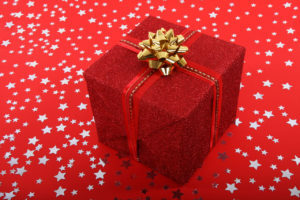 The “Gift of Mentoring” is a powerful tool – embrace it and you will reap the rewards!